By the time she dragged the last piece of her mother’s ancient computer out of the garage, Megan was sweaty and sore, and there were spiderwebs stuck to her hands and face. She connected the cables, flipped the switches, and held her breath. If it didn’t work, she might as well have spent the afternoon cleaning the garage. The monitor took time to warm up, but eventually, the machine did boot, and a blinking green rectangle appeared on the monochrome screen. Megan wiped the sweat out of her face. She sat on the floor in front of the computer and picked up the keyboard. The code was the easy part. A little old-fashioned, and clunky, but weirdly familiar. An hour and a half, and the code was ready for magic. Megan wasn’t all that good with magic. There was no logic to it, no predictable… anything. Three drams of wolf’s blood for a love potion, an ostrich feather for good luck in sports or cattle trading. Nothing about magic made sense. She pushed her hair back from her face, poured out a glass of saltwater, and said an incantation. The program would pull from the magic, and the magic… well, if everything went right, the magic would pull the program through the wires, and into the ether that lined the barriers between past, present, and future. And once it got to the past, the program would self-replicate. Non-magical types would see fifteen lines of nonsense. A practical joke. Teenagers causing mischief. Her father… he’d get caught. He’d apologize, of course… and he’d be sentenced to probation. It wasn’t really her fault. That had happened. It had already happened by the time she was born. And her father always smiled, just a little, when he remembered the time he spent doing court-ordered public service. He didn’t notice the loop. He didn’t know he hadn’t actually written the virus. No. She was just enhancing it. And the magic… it wasn’t even as strong as a love potion. Nothing that could un-do freewill. She wasn’t forcing anyone to do anything. An eye-opener. Something to make sure people knew when they met the love of their life. It was worth a shot. Anything to keep her parents together. She connected the magic to the program, and typed RUN. The machine processed the commands slowly–as slowly as a computer from 1987–and then, she couldn’t be sure. Pink sparkles. Or maybe they were just sparks. Either way, the screen flashed twice, and went dark. She could still hear her parents arguing in the bedroom. He probably didn’t know he was shouting. 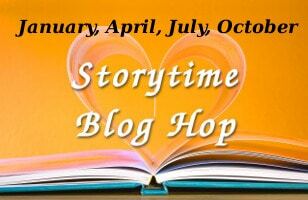 This is a blog hop, so be sure you visit the other writers to read the rest of the stories. That was awesome. I wanted it to keep going. I want more. Loved it. Maybe she could change to code and have a better outcome? I think Megan’s story would make a great read! Wow, that did not go right! I was enthralled. Well done! I loved how technology and magic became intertwined it’s my kind of thing. And I really liked the twist in the end.